Using a strength-based and interest-based approach, the two-day lab helps students identify which careers align with their interests while using the San Diego Workforce Partnership’s (SDWP) labor market research to highlight jobs in San Diego priority sectors. 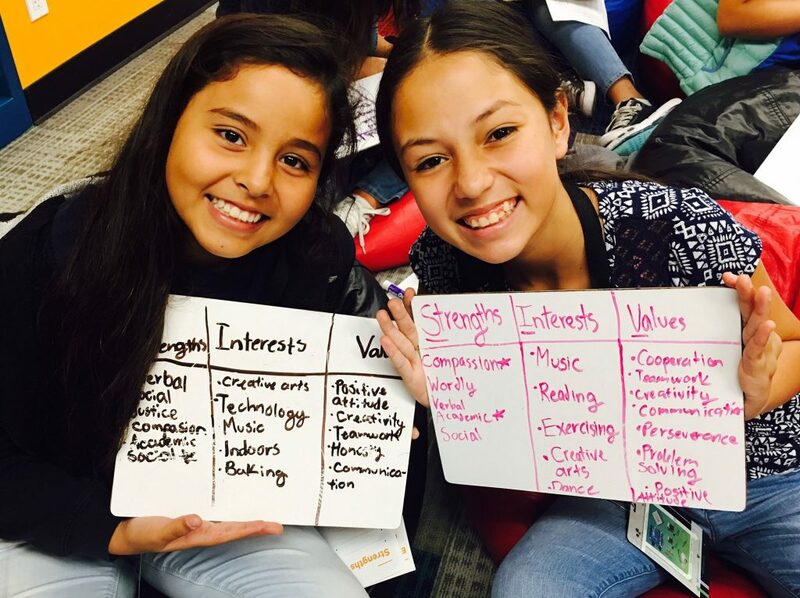 Each student is guided through an assessment that helps determine their strengths, and exploratory activities using the RIASEC framework, which categorizes personalities as having the following themes: Realistic, Investigative, Artistic, Social, Enterprising or Conventional. 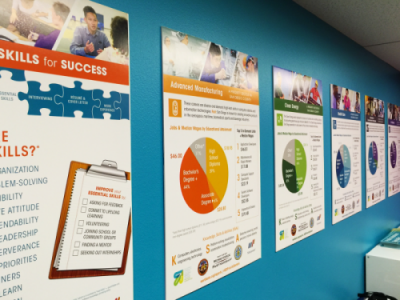 The Innovation Station and Energy Station experiences tie these strengths and interests to a series of career opportunities using easy-to-navigate color-coded dots. At the Energy Station, students explore the Artistic theme by creating an energy efficient home and/or landscape using the successful tech game, Minecraft. Students exploring the Realistic theme might be asked to build circuits, while those exploring the Investigative theme could be testing wind turbines. As they work together to solve real life problems, these students are tinkering with far more than Legos, computers and prototypes—they’re practicing essential skills that will help them succeed in the world of work. 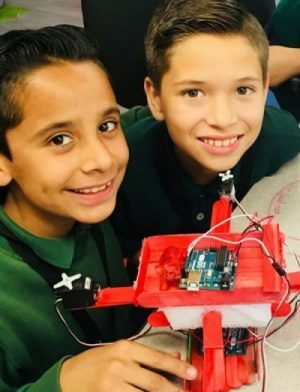 “This is recession-proof education,” says Matthew Tessier, assistant superintendent of innovation and instruction at CVESD. To keep this education growing, public-private partnerships play an extremely vital role. In addition to utilizing SDWP research, connecting with local employers helps students make the connection between their hands-on experience and the region’s in-demand skills. Qualcomm, Microsoft, SDG&E, the International Brotherhood of Electrical Workers (IBEW) and the National Electrical Contractors Association are among some of the partnerships that get students excited while introducing them to priority sectors like information and communications technologies and clean energy. Another important element of this initiative is to engage educators through professional development events that bridge the gap between employer needs and classroom curriculums. On July 17, CVESD, in partnership with Sarah Burns, SDWP’s director of research and evaluation, introduced the RIASEC framework to South Bay and Chula Vista teachers at the IBEW 59 Electrical Training Center. During the event, educators from Feaster Charter School and Saburo Muraoka Elementary had a chance to play the student role as they were taught priority sector research, identified their strengths via the RIASEC framework and received an inside tour of the electrical training facility. The partnership with San Diego Electrical Training Center gave educators an opportunity to learn about tuition-free training and apprenticeship programs offered through IBEW. Moving forward, CVESD has plans to open similar stations inside employer facilities that will immerse students into the world of work, such as a Hydro Station in partnership with Sweetwater Authority and the Otay Water District at the Richard A. Reynolds Groundwater Desalination Facility. These programs will also expand to include additional grade levels and the entire community, including military veterans looking to reenter the workforce and other adults who want to strengthen their skills in technology and engineering. The Innovation Station and Energy Station may require many moving parts, but the overall concept is quite simple: Help students discover their strengths and interests early on in their education and their passion for a career—not just a job—will follow.